I haven’t travelled to any place new in April 2016. It has been a conscious decision to slow down. One could say that I am taking a break! So what did I do the whole of last month then? Well, I watched movies in the theatre every weekend, including watching FAN twice 😛 , attended a popular Television Awards Night and explored the arts and theatre scene in Mumbai. 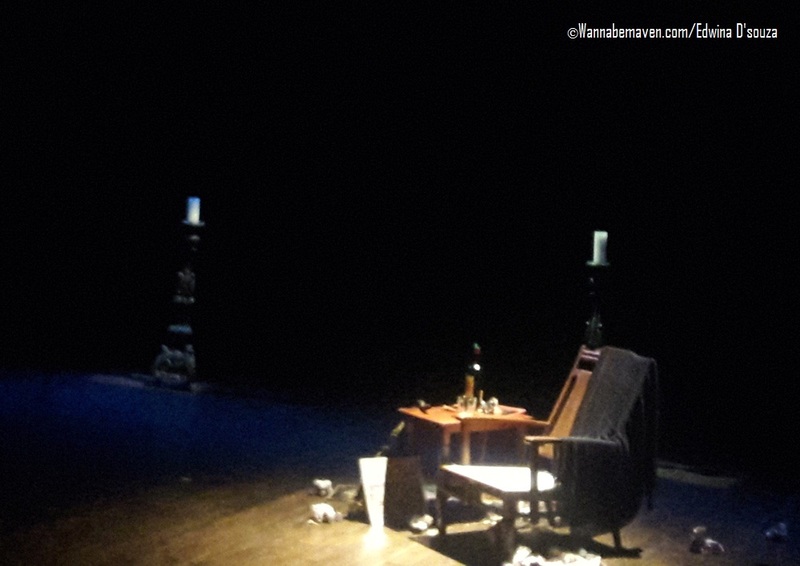 From a stage musical on Jazz and its influences on Bombay to a popular Indian cultural dance festival and checking out an experimental play celebrating 400 years of Shakespearean literature…I saw it all! April began on a good note. On a Friday after work, I headed to the Prithvi Theatre to watch Bombay Jazz. The play explored the influences of Jazz on Bombay and Bollywood without giving Jazz and Jazz musicians its due. An Anglo-Indian Jazz musician-turned-alcoholic narrates his story in flashback and we’re transported to an era of 1950s, 60s and 70s in Mumbai then Bombay. A delicious little black comedy, Rhys Sebastian lends great support on the Saxophone while also starring in the play alongside Denzil Smith. 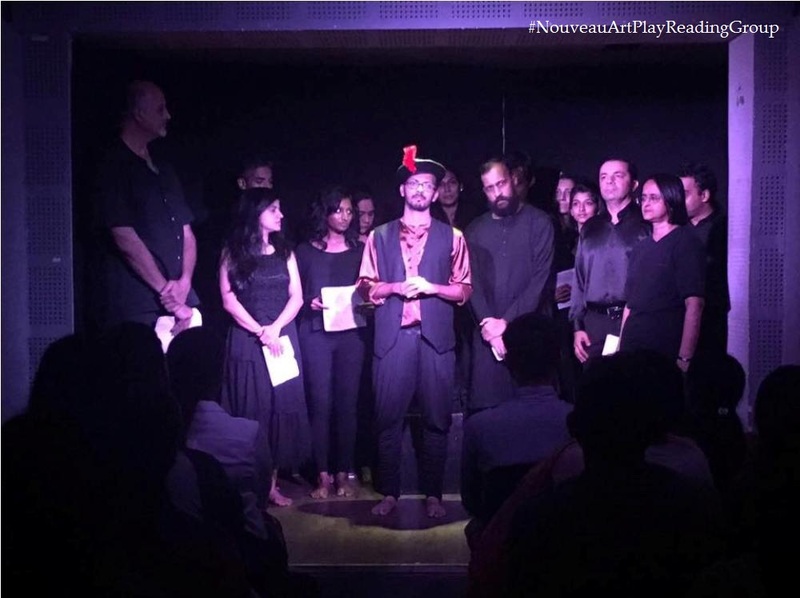 I attended an experimental performance by Nouveau Art Play Reading Group at the Hive in Khar. The occasion was 400 years since Shakespeare and the highlight of the play was Shakespeare breaking the fourth wall. What does that mean? Breaking the fourth wall is a theatrical technique where the character is directly interacting with the audience. You may have seen this form of enactment on TV in the House of Cards, in the Hindi film Ghar Ho Toh Aisa, and, more recently, in the English film Deadpool. Monologues from Shakespeare’s classics like The Merchant of Venice, Hamlet, Macbeth, Romeo and Juliet and King Lear were recited and enacted in their classical and contemporary versions by the artists – a small group of literature enthusiasts who call themselves Dramebaaz. The group meets once a month to read plays and the venue is typically a cafe or a restaurant in Mumbai. Event announcement is done on their meetup page. Two weeks back, I also headed to NCPA to watch the Mudra Dance Festival 2016 – an annual festival curated by the National Centre for the Performing Arts (NCPA) in South Mumbai. The festival touches upon various interesting themes each year around April to celebrate Indian cultural dance forms…some of which are a dying art. After choosing motherhood, poetry and colours as themes previously, this year the theme for the Mudra Dance Festival was animal symbolisms in mythology. I attended the inaugural performances of the four day dance festival. The two shows lined up that evening were of artists Bhavana Reddy and Rakesh Saibabu. I was told that the Mudra Dance Festival is experimenting this year by bringing on-board a younger and promising bunch of artists. And boy! The show was a treat to watch. 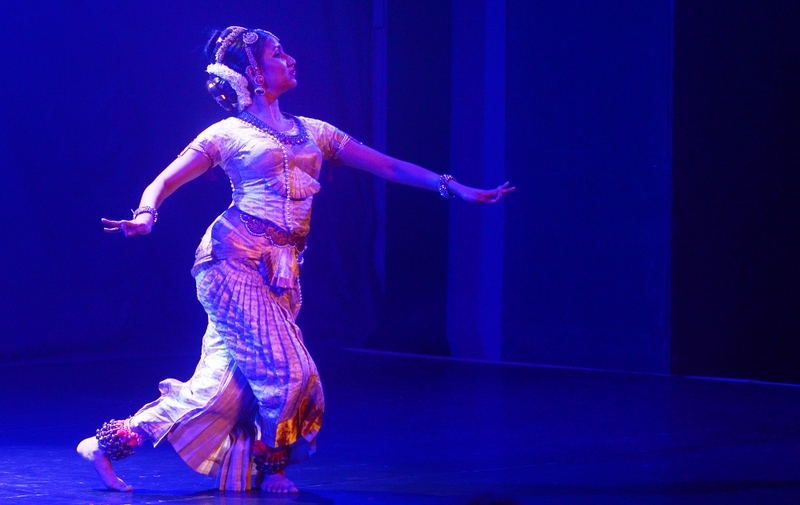 The evening began with a Kutchipudi performance by Bhavana Reddy. Kutchipudi is a temple dance of Andhra Pradesh…and Bhavana’s presentation was called “Hamsoham – The soul of Indian art and philosophy”. Bhavana portrayed the role of a golden swan who was a matchmaker in uniting mythical prince Nala and princess Damyanti from the pages of the Mahabharata. 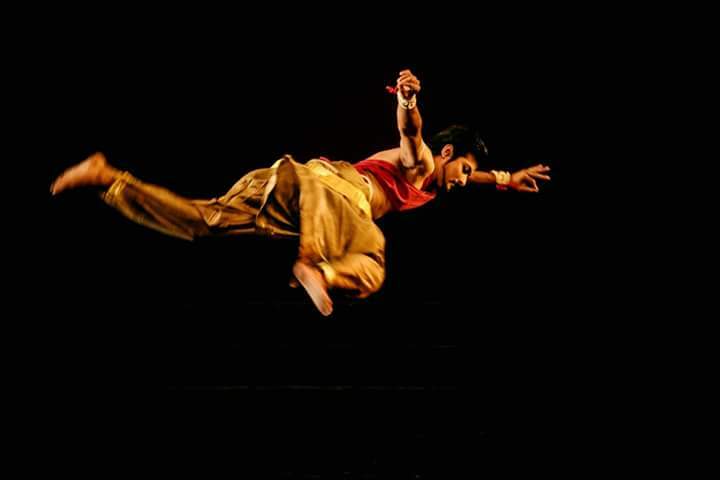 An acclaimed dancer herself, Bhavana has an illustrious background. Dance probably runs in her veins as the daughter of renowned Kutchipudi artists and Padmabhushan recipients Raja and Radha Reddy and Kaushalya Reddy. Bhavana’s performance was choreographed by her parents. I loved Bhavana’s performance. Her grand entrance walking around the stage with gestures reminiscent of a swan was so good, it had me hooked from the word Go. She used her facial expressions and hand movements beautifully to narrate the tale of the legend of princess Damyanti who fell in love with Nala simply by hearing of his virtues from the swan. Bhavana looked like those pretty Indian bobblehead dolls, we also know as Thanjavur dancing dolls. The presentation was supported by a brilliant team of musicians who brought the story of the Golden Swan to life. After a short break for tea and snacks, it was time to watch a Mayurbhanj Chhau performance by Rakesh Saibabu in his presentation “The Flight of Garuda”. The artist depicted the journey of Garuda from his birth to how he became the mount of Lord Vishnu. It was Garuda’s brave fight with the demigods while searching for amrit (elixir) for his mother that impressed Vishnu and he was offered to become Vishnu’s mount. Mayurbhanj Chhau is a dying tribal martial art dance of Odisha that has been granted a UNESCO status as an Intangible Cultural Heritage of Humanity. At the end of his performance, Rakesh mentioned that Chhau performers traditionally danced in forts and palaces in front of soldiers. The martial art dance would not only entertain soldiers but lift their souls and motivate them to keep going during wars. I had some background on Kutchipudi through books and videos, but I had only heard of Mayurbhanj Chhau. The Mudra Festival became a wonderful opportunity to educate myself, and the Chhau performance by Rakesh was a great introduction to a novice like me who had never quite seen anything like this before. I may have not travelled much in April 2016, but it sure was a fun month. Actually, I did travel! I travelled back in time to witness the 1950s era of Jazz musicians in Bombay…I went into flashback and saw some of Shakespeare’s classics come alive…and in those two hours at the Mudra Dance Festival, I got a never-seen-before cultural glimpse of India…couldn’t have asked for more. Note: I received complimentary tickets by the organisers for the inaugural performances at the Mudra Dance Festival 2016. Thoughts, obviously my own, Promise! Join me on Twitter, Facebook and Instagram for more such arts and culture stories around India. I also make cool status updates, just in case you like randomness. Subscribe to this blog to receive my monthly newsletter with cool travel stories, updates and deals and discounts in your inbox. animals in mythology, arts in mumbai, bhavana reddy, bombay jazz, breaking the fourth wall, Chhau dance, Culture, dance festival, Drama and Theatre, garuda, Indian dance, indian mythology, Kutchipudi, mudra festival, ncpa, play reading, prithvi theatre, raja radha reddy, rakesh saibabu, shakespeare, the hive, Things to do in Mumbai. Bookmark.